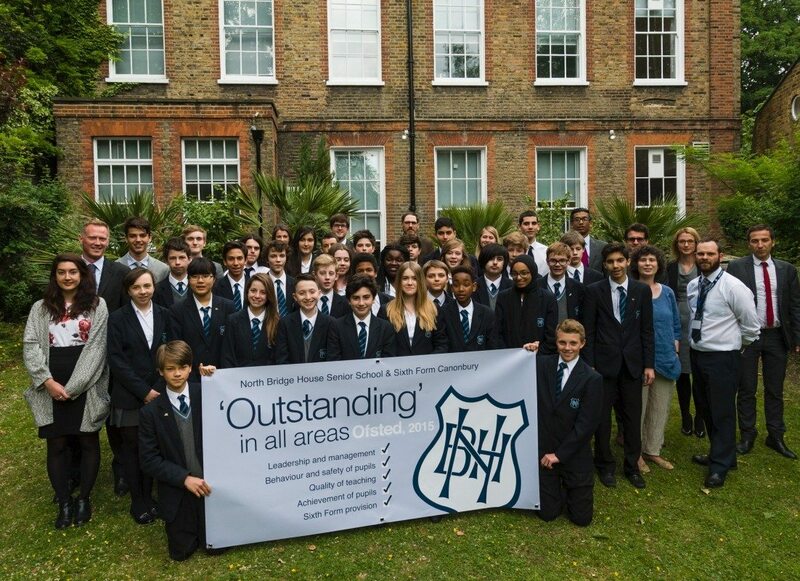 We are absolutely delighted that North Bridge House Canonbury has been awarded ‘Outstanding’ for its Senior School and Sixth Form provision following the Ofsted inspection in May 2015. Having only recently opened in September 2014, Ofsted’s report reflects how much the school has already achieved as Islington’s first independent senior school for 13-18 year olds, based on the longstanding success of the North Bridge House group. Although all schools, regardless of sector, are inspected by Ofsted in their first year of operation, North Bridge House Canonbury has demonstrated the importance of establishing a wide-ranging curriculum, together with a well-organised extra-curricular programme, and the substantial value that inspiring teaching and individual attention can add to a young person’s education. Ofsted also identifies the ‘consistently outstanding support’ that our students receive and our ‘highly effective teaching’, which both motivate and challenge pupils to fulfil their potential, whilst encouraging them to develop a self-confidence which aids their academic progress significantly. ‘I am delighted that Ofsted has recognised our high expectations and commitment to providing academic excellence, at the same time as supporting our pupils’ personal development in our non-selective environment. ‘Students who require additional help in their learning make above expected levels of progress because they are given good support in lessons to match their identified needs’.